The Georgian Boardroom is located on the first floor above the Art Gallery. 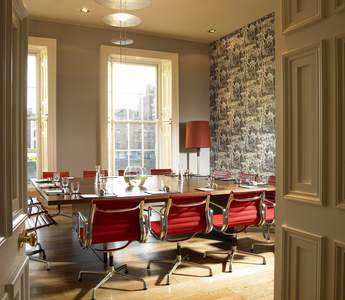 This means that it is the perfect venue for a private and confidential meeting. It offers floor to ceiling windows with views over the river Liffey and high Georgian ceilings. This room is chic and stylish with a fireplace, contemporary chandelier, cherry red leather office chairs and heavy mahogany table. There is a balcony area which is perfect for tea and coffee breaks and this overlooks the Courtyard Garden. 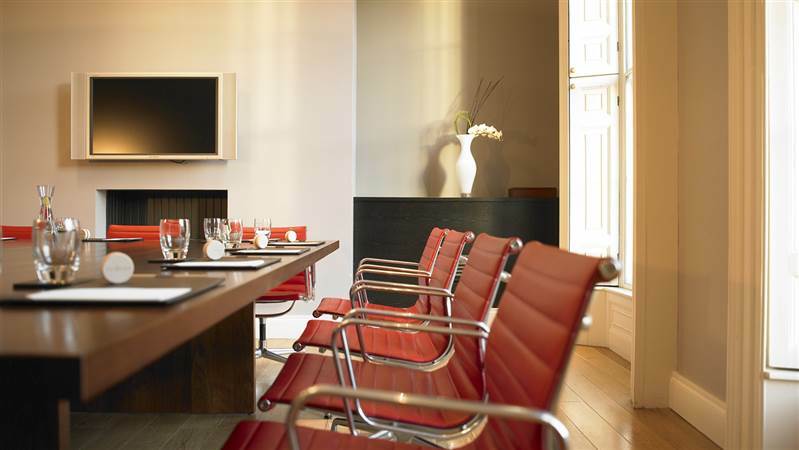 The Georgian Boardroom can seat up to 14 delegates boardroom style.